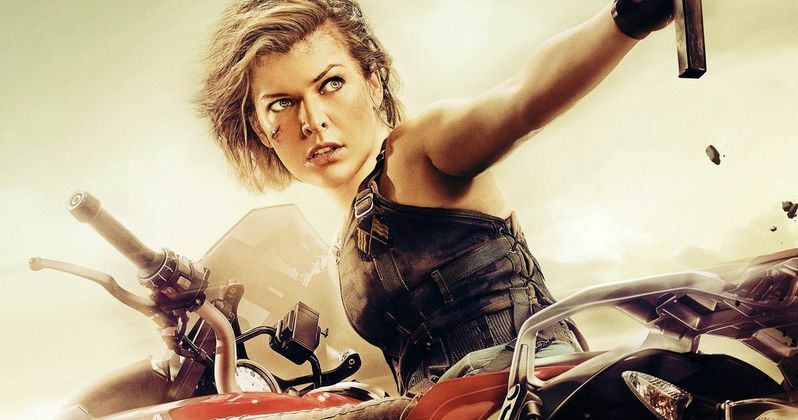 Resident Evil: The Final Chapter came out earlier this year and was poised to put the successful video-game-to-movie franchise to bed. Or so we thought. It turns out that, less than a week after the last movie in the series arrived on Blu-ray, a reboot has been announced. While the news is very fresh and there are a lot of unknowns, there are plans for a six-movie reboot of the Resident Evil franchise. Per Variety, German production company Constantin Film, who currently owns the rights to the Resident Evil property, are already in the early stages of getting a reboot together. Constantin Film has produced all of the other installments in the Resident Evil franchise, which is probably why they are so eager to do some more of them, since they have been very profitable. Here's what Variety has to say about the Resident Evil reboot. "Martin Moszkowicz, chairman of the board at Constantin Film, did confirm to Variety at the Cannes Film Festival that a reboot is in development at the giant German production company, which owns rights to the franchise and has produced all of its installments." In one form another, the Resident Evil franchise has been insanely popular and very persistent. The original Resident Evil video game came out two decades ago in 1996 and has spawned a ton of sequels, as well as some CG movies based on the video games. So if there is a good candidate for a movie franchise based on a video game, it is probably Resident Evil, even though we just got what was promised to be the "final chapter" of the long-running series. But this is Hollywood and money talks, which is most definitely why this reboot is happening. Despite the fact that Hollywood has not yet cracked the code on making a truly great video game adaptation, the Resident Evil movies have possibly been the closest at times. And, more importantly, they have made a lot of money. Resident Evil is the most successful video game franchise in movie history, with Resident Evil: The Final Chapter grossing $312 million alone. To date, the series has grossed $1.23 billion worldwide. With that taken into account, there should be no surprise that Constantin Film is eager to keep cashing in. These movies do big business overseas, especially in China, and with foreign markets becoming more and more important, don't be at all surprised if these new movies cater more to foreign audiences. It is possibly reaching a bit to already be planning a new six-movie Resident Evil franchise, but that is the nature of the industry right now. There is no word whether or not Paul W.S. Anderson, who write all six Resident Evil movies and directed four of them, will be involved. He is currently working on an adaptation of a different Capcom game, Monster Hunter, for release in late 2017/early 2018. Variety does note that his involvement is "in question," so it hasn't been totally ruled out. Just don't expect to see Milla Jovovich back as Alice. Maybe it will be more faithful to the original games? We'll have to wait and see, but either way, it looks like this is happening.